Angus Gould – Structural osteopath. Available Tuesdays. Angus grew up in East Sussex where both he and his family saw an osteopath regularly. After leaving school he explored different career options and decided to expand his knowledge in the area of health sciences. This led him to study sports and exercise science. During this time, he had the opportunity to shadow the same osteopaths that had been treating his family throughout his childhood. Seeing the osteopathic treatment approach from a different perspective ignited his passion for the topic. Four years later Angus graduated from Swansea university having obtained a first class masters degree in Osteopathy. During his degree, he developed special interests in chronic pain disorders and advanced neurology. 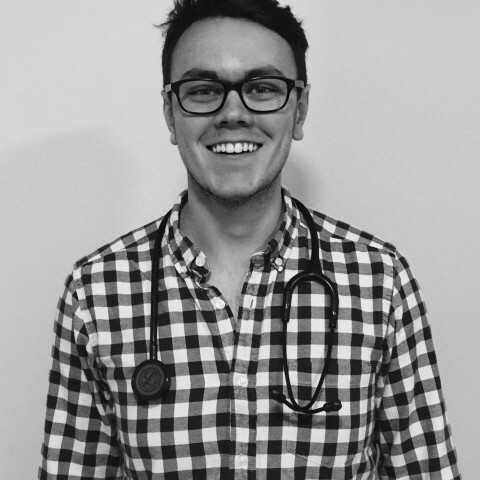 This inspired him to perform his own research project combining osteopathy and mindfulness to see if this would provide an added benefit for patients suffering with these conditions, the results of which he is aiming to have published in a medical journal. Angus is primarily a structural osteopath meaning he uses a variety of different techniques to improve the mobility and stability of joints. He uses techniques that focus on the soft tissues of the body, reducing the likelihood of muscle spasm, as well as improving circulation and lymphatic drainage to the target tissues. The type of techniques you can expect Angus to use are; joint manipulation and articulation, neuromuscular technique, muscle energy technique, myofascial release, joint harmonics, deep soft tissue techniques and exercise prescription. Before becoming an osteopath Angus worked as a fitness instructor which adds an element of rehabilitation, helping his patients achieve sustainable results. As well as Osteopathy, Angus enjoys keeping fit, attending the gym regularly with a focus on resistance training. He also has a keen interest in skiing and a passion for cooking and nutrition.